Bob Beeton Graduated from the University of New England (UNE) in 1969. From 1970 to 1973 he worked as an ecologist on bird and other pest problems on the Ord River Development W.A. In 1974 he returned to UNE and was on the staff of the Zoology Department where he taught Biology, Animal Behaviour, Ecology and Experimental Methods. His research was in wildlife management. In 1978 Bob was recruited to the Queensland Agricultural College (QAC) to establish the Wilderness Reserves and Wildlife program. By 1990 the program had diversified into several other programs and the Natural Systems and Wildlife Management degree. QAC amalgamated with UQ in 1990 and following amalgamation Bob was involved in establishing the Bachelor of Environmental Management and Master of Environmental Management programs. Since 1991 Bob was has been Head of Department and Head of School for 11 years and served on many University Committees. Bob has also been involved in extensive Community and Government service both at the State and Commonwealth level. Awards include 1988 Australian Bi-Centennial Award Rainforest Canopy Walk Project. 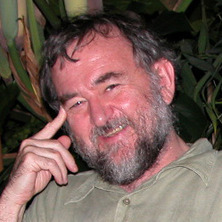 1994 Excellence in Teaching Award, University of Queensland; 2000 Affirmative Action Commendation, University of Queensland; 2000 Fellow Environmental Institute of Australia and New Zealand (FEIANZ); 2009 Member of the Order of Australia (AM) for contribution to Environment and Resource Management and 2009 Lockyer Legend for service to the community. Hardy, Ann, Carter, Bill, Beeton, Bob, Olsen, Mark and Horneman, Louise Regional touring route travellers: users' motivations, attitudes and behaviours in Queensland and Tasmania. Gold Coast, Australia: CRC for Sustainable Tourism, 2006. Compton, E., Prager, K. and Beeton, R. J. S. (2009). Landcare bowling alone: finding a future in the ‘fourth’ phase. In Marcus B Lane, Cathy Robinson and Bruce Taylor (Ed. ), Contested Country: Local and Regional Natural Resources Management in Australia 1st ed. (pp. 147-160) Australia: CSIRO Publishing. Carter, R. W. and Beeton, R. J. S. (2008). Managing Cultural Change and Tourism: A review and perspective. In B. Prideaux, D. J. Timothy and K. Chon (Ed. ), Cultural and Heritage Tourism in Asia and the Pacific 1st ed. (pp. 134-156) London: Routledge. Hardy, A, Beeton, R.J.S. and Carter, R.W. (2005). Innovation Through Iterations: Improving regional touring routes through survey research. In Dean Carson and Jim Macbeth (Ed. ), Regional Tourism Cases: Innovation in regional tourism First ed. (pp. 91-101) Altona, Victoria: Common Ground Publishing Pty Ltd.
Nguyen, Nga Hong, Beeton, Robert J. S. and Halog, Anthony (2014) SME adaptive capacity in response to environmental requirements: understanding it as a complex adaptive system. Asian Journal of Business and Management, 2 1: 1-17. An accidental outcome: Social capital and its implications for Landcare and the "status quo"
Beeton, R. J. S. and McGrath, C. (2009) Developing an approach to the listing of ecological communities to achieve conservation outcomes. The Australasian Journal of Natural Resources Law and Policy, 13 1: 61-92. Hardy, Anne, Beeton, Robert J. S. and Pearson, Leonie (2002) Sustainable tourism: An overview of the concept and its position in relation to conceptualisations of tourism. Journal of Sustainable Tourism, 10 6: 475-496. Is the removal of domestic stock sufficient to restore semi-arid conservation areas? Page, Manda J. and Beeton, R. J. S. (2000) Is the removal of domestic stock sufficient to restore semi-arid conservation areas?. Pacific Conservation Biology, 6 3: 245-253. Will there be a Phuket Spring? Boonchai, Chantinee and Beeton, Robert J. S. (2013). Will there be a Phuket Spring?. In: 1st Annual PSU Phuket International Conference 2012, Phuket, Thailand, (). 10-12 January 2013. Nengovhela, N. B., Beeton, Robert J. S. and Clark, R. A. (2012). Culture and transitions in the emerging beef sector. In: 45th South African Society for Animal Science (SASAS) Congress, East London, South Africa, (). 9-12 July 2012. Boonchai, Cantinee, Beeton, Bob and Srichai, Naiyana (2011). Environmental management in Phuket: A systemic and participatory approach for solving wicked problem. In: The 4th Annual PSU Phuket Research Conference, Phuket, Thailand, (). 16-18 November 2011. Boonchai, Chantinee, Beeton, Robert J. S. and Srichai, Naiyana (2010). Knowledge management: Social innovation towards sustainable development for Phuket. In: Thanaruk Theeramunkong, Virach Sornlertlamvanich and Susumu Kunifuji, Proceedings of The Fifth International Conference on Knowledge, Information and Creativity Support System. Fifth International Conference on Knowledge, Information and Creativity Support Systems, Chiang Mai, Thailand, (). November 25-27 2010. Compton, E., Hayne, W. and Beeton, R. J. S. (2007). Six years in a cement mixer: A landcare journey through changing times. In: Handbook and book of abstracts. International Landcare Conference, Melbourne, Australia, (). 8 -11 October, 2006. Gleeson, Tony, Turner, Cate, Beeton, Bob and Drinan, JOhn (2006). Digging deeper: Reflections on a symposium on Australian values rural policies. In: Australian Values - Rural Policies: Symposium 2000 proceedings. Australian Values - Rural Policies: Symposium 2000, Canberra, Australia, (1-17). 28-29 August 2000. Beeton, Bob (2006). Forces shaping natural resource management in rural and regional Australia. In: Tony Gleeson, Cate Turner and John Drinan, Australian Values - Rural Policies: Symposium 2000 proceedings. Australian Values - Rural Policies: Symposium 2000, Canberra, ACT, Australia, (153-164). 28-29 August, 2000. Keynote: Climate Change: Facts? Opinions? Dilemmas? Beeton, R. J. S. (2005). Keynote: Climate Change: Facts? Opinions? Dilemmas?. In: Bulletin of the International Statistical Institute, 55th Session (available as CD only). International Statistical Institute, 55th Session, Sydney, (). 5-12 April 2005. Williams J.A., Beeton, Robert J.S. and McDonald G.T. (2005). Means to ends: success attributes of regional NRM. In: A. Kungolos, C.A. Brebbia and E. Beriatos, Sustainable Development and Planning II, Vols 1 and 2: WIT Transactions on Ecology and the Environment. 2nd International Conference on Sustainable Development and Planning, Bologna, Italy, (691-720). 12-14 Sep 2005. Beeton R. J. S. and Williams, J. (2005). The "New" Regional Arrangements Keynote address. In: Proceedings of the 2004 South East Queensland Biodiversity Conference. 2004 South East Queensland Biodiversity Conference, Gatton, QLD, Australia, (x-x). 30th June - 2nd July, 2004. Page, M. J. and Beeton, R.J.S. (2004). An Evaluation of Seed Rain as an Indicator of Rangeland Condition. In: ESA Ecology Conference. Ecological Society of Australia Ecology Conference, University of Adelaide, (). 6-10 December 2004. Tangey, B., Page, M. J. and Beeton, R.J.S. (2004). Current Approaches to Off Reserve NRM. In: ESA Ecology Conference. Ecological Society of Australia Ecology Conference, University of Adelaide, (). 6-10 December 2004. Beeton, R.J.S. (2004). Foreword. In: Pat Hutchings, Daniel Lunney and Chris Dickman, Threatened species legislation: Is it just an Act?. 2003 Royal Zoological Society Forum, Mosman, Australia, (iv-v). 25 October 2003. Page, M. J. and Beeton, R.J.S. (2004). Monitoring Mulga Land Change: 12 Years Later. In: Bastin and Walsh and Nicolson, Australian Rangeland Society 13th Biennial Conference. Australian Rangeland Soceity 13th Biennial Conference, Alice Springs, (345-346). 5-8 July 2004. Spies, A., Wegener, M. K., Chamala, S. and Beeton, R.J.S. (2002). Aplicabilidade do mAndo Ciclo de Vida (ACV) na avaliados impactos ambientais da agricultura. In: Sergio Pinheiro, V SimpLatino-americano sobre Investigae Extensem Sistemas Agropecu- IESA e V Encontro da Sociedade Brasileira de Sistemas de Produ- SBSP, IESA/SBSP. V SimpLatino-americano sobre Investigae Extensem Sistemas Agr, Florianopolis, Brazil, (). 20-23 May 2002. Spies, A., Wegener, M. K., Chamala, S. and Beeton, R. J. S. (2002). Estimating Environmental Impact from Poultry Production in Brazil Using LCA. In: T. Grant, 3rd Australian Conference on Life Cycle Assessment. 3rd Australian Conference on Life Cycle Assessment, Gold Coast, (1-11). 5-17 July 2002. Spies, A., Wegener, M. K., Chamala, S. and Beeton, R. J. S. (2002). Life cycle Assessment of Pig and Poultry Production in Santa Catarins, Brazil - A comparison of the environmental impacts. In: 4th Queensland Environmental Conference Proceedings: Environmental Solutions: Meeting the Challenge in 2002. 4th Queensland Environmental Conference, Brisbane, (). 30-31 May 2002. Spies, A., Wegener, M. K., Chamala, S. and Beeton, R.J.S. (2002). Sustainability of the Pig and Poultry Industries in Santa Catarina State, Brazil: Challenges for socio-economic researchers, extension professionals and operators. In: Jeff Bennett, Australian Agricultural and Resource Economics Conference. 46th Annual Conference, AARES, Canberra, (). 13-15 February 2002. Abstract: The use of WWW Based Electronic Surveys to Gather Stakeholder Feedback - Can it benefit Rural Extension? Spies, A., Wegener, M. K., Chamala, S. and Beeton, R.J.S. (2001). Abstract: The use of WWW Based Electronic Surveys to Gather Stakeholder Feedback - Can it benefit Rural Extension?. In: B.S Hansra; K. Vijayaragavan, National Conference on Agribusiness and Extension Management: Status, issues and strategies: Abstracts. National Conference on Agribusiness and Extension Management, Manage, Hyderabad, (104-104). 7-8 December 2001. Spies, A., Wegener, M. K., Chamala, S. and Beeton, R.J.S. (2001). Impact of the Vertically Integrated Pig and Poultry Industries on Socio-Economic and Environmental Sustainability of Family Farming Systems in Brazil. In: B.S. Hansra; K. Vijayaaragavan, Abstracts: National conference on Agribusiness and Extension Management: Status, issues and strategies. National Conference on Agribusiness and Extension Management, , (137-137). 7-8 December 2001. Spies, A., Spies, C., Chamala, S., Wegener, M. K. and Beeton, R.J.S. (2001). The Need for Environmental Extension Education in Facilitating Sustainability of Pig and Poultry Industries in Santa Catarina State, Brazil. In: Mark Paine, APEN2001 International Conference: Exploring beyond the boundaries of extension and paving the way for a positive future for regional communities. APEN2001 International Conference: Exploring beyond the boundaries of extension and paving the way for a positive future for regional communities., The University of Southern Queensland, Toowoomba, (175-182). 3-5 October 2001. Beeton, R. J. S. (1999). Evaluation and protected areas: Factors shaping a probable future. In: Proceedings of 3rd Best Parks Practice Conference. 3rd Best Parks Practice Conference, Brisbane, (). 5 - 8 September 1999. Carter, R. W. and Beeton, R. J. S. (1999). Some dimensions of cultural change under the influence of tourism. In: M. Boyd, Book of Abstracts from Application of Social Science to Resource Management in the Asia-Pacific Region, the 1999 International Symposium. The 1999 International Symposium on Society and Resource Management, University of Qld., (31-31). 7 - 10 July 1999. Hardy, A. and Beeton, R. J. S. (1999). Sustainable tourism or maintainable tourism: Managing resources for more than average outcomes. In: S. Brown, Book of Abstracts of 1999 International Symposium on Society Resource Management. The 1999 International Symposium on Society and Resource Management, University of Qld., (84-84). 7 - 10 July, 1999. Hardy, A. and Beeton, R. J. S. (1999). Sustainable tourism: An overview of the concept and its position in relation to tourism theory. In: R. Mitchell, M. Hall and et al., Tourism Policy and Planning: Proceedings of International Geographical Union Sustainable Tourism Study Group and International Tourism Students' Conference. International Geographical Union Sustainable Tourism Study Group and International Tourism Students' Conference, Oamaru, Otago, NZ, (306-321). 30 Aug - 2 Sep 1999. Hardy, A. and Beeton, R. J. S. (1999). The use of grounded theory as a tool to facilitate theory on stakeholder perceptions of sustainable tourism. In: R. Mitchell, M. Hall and et al., Tourism Policy and Planning: Proceedings of International Geographical Union Sustainable Tourism Study Group and International Tourism Students' Conference. International Geographical Union Sustainable Tourism Study Group and International Tourism Students' Conference, Oamaru, Otago, NZ, (234-245). 30 Aug - 2 Sep 1999. Page, M. J., Beeton, R. J. S. and Mott, J. J. (1999). Vegetation dynamics and the implications for protected area management in south-west Queensland rangelands. In: D. Eldridge and D. Freudenburger, Proceedings of the VI International Rangeland Congress. People & Rangelands: Building the Future, the VI International Rangeland Congress, Townsville, Qld., Australia, (225-226). 19 - 23 July, 1999. Compton, E., Hayne, W. and Beeton, R. J. S. (2007) Six years in a cement mixer: A landcare journey through changing times. Dynamics and management of vegetation within the Mulga Lands Biogeographic Region in south-western Queensland. Note for students: Associate Professor Bob Beeton is not currently available to take on new students. Why is the Subsidy on Fertilizers for Rice in Sri Lanka Continued? BATTLING THE KNOWLEDGE FACTOR - A STUDY OF FARMERS' INFORMATION SEEKING, LEARNING AND KNOWLEDGE PROCESSES WITHIN AN ONLINE ENVIRONMENT IN QUEENSLAND.